1. 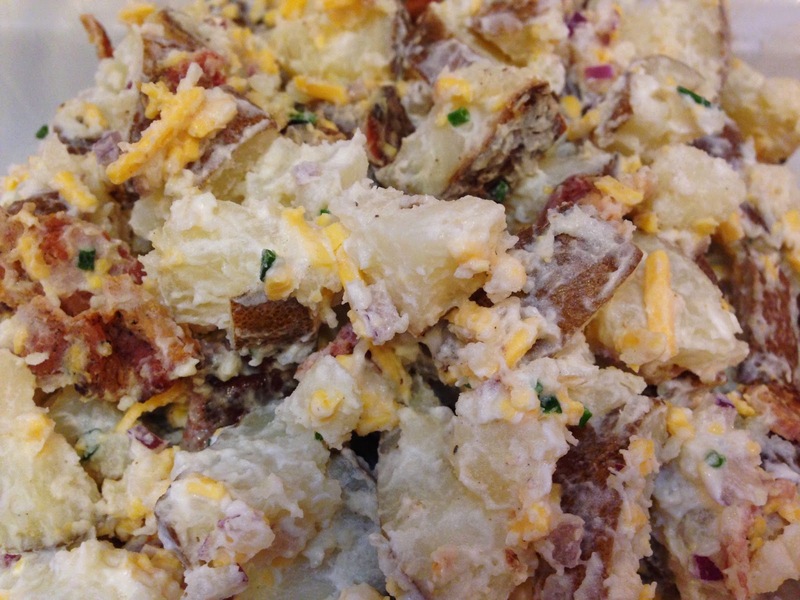 Wash the potatoes and poke holes in them with a fork. Bake at 350 degrees for about an hour or until fork tender. 2. Cool and cut the potatoes into bite sized chunks. 3. Mix the mayo and sour cream together in a bowl. Add to the potatoes, then add the onions, chives, and cheese. 4. Top with extra shredded cheese, bacon, and chives, and serve! I made this salad for a baby shower, and for Super Bowl Sunday. It is a little drier than most potato salads but you don't get all the mayonnaise taste like a lot of potato salads.